If your preference is for a more intimate vacation with family or friends, it’s well worth considering the charter of this boutique 47 metre sailboat between Aswan and Luxor. 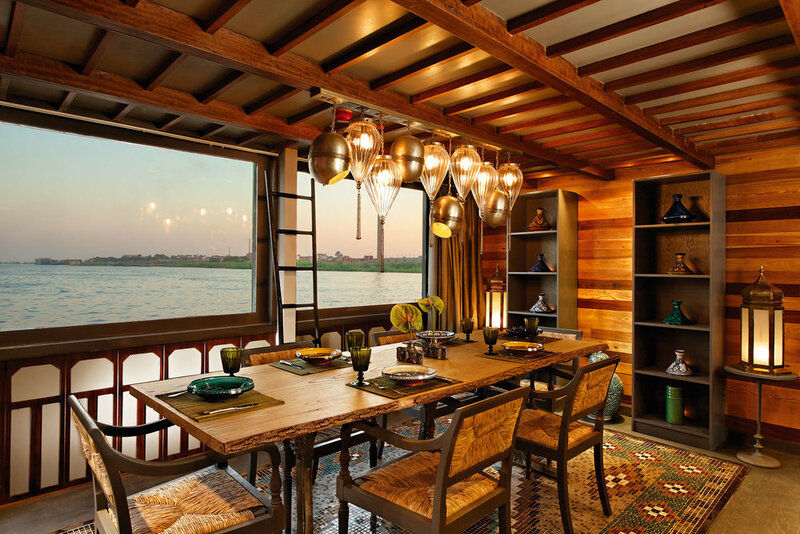 Mövenpick’s SB Feddya redefines the 'dahabeya', the traditional Egyptian sailboat, with a fresh and unique concept, being the smallest dahabeya on the Nile with just four spacious and contemporary suites. 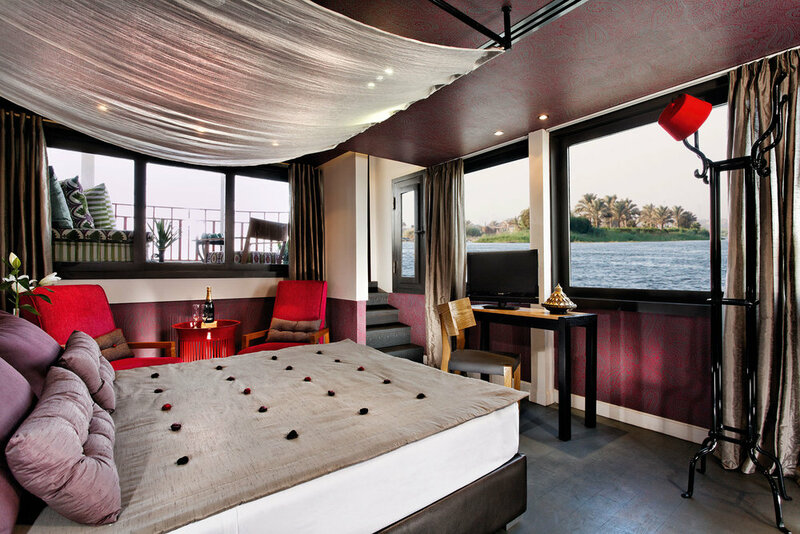 Each spacious suite of 24 square metres is personalised with its own colour scheme and design to the highest specification, featuring an extensive balcony or terrace offering panoramic views along the Nile and every modern five-star comfort including 24-hour butler service. Dining on the Feddya is a gastronomic experience as chefs create their signature dishes or happily prepare any specific requests desired by guests. There is a choice of elegant indoor dining or the more relaxed atmosphere of the sundeck’s outdoor dining area where refreshments and snacks can also be enjoyed. It’s a fabulous place to relax in the shade and observe the unfolding views along the river. The dining room, lounge, sun deck and jacuzzi are all features which contribute to the overall experience of a private world on this exclusive voyage. SB Feddya operates upon request which means that sailing dates and itineraries can be personalised to meet any guest requirements. Land excursions usually include such highlights as the Valley of the Kings, a visit to the East Bank to see the Karnak and Luxor Temples, El Kab Temple, the Temple of Horus at Edfu on the West Bank, Kom Ombo and the Botanical Gardens in Aswan.